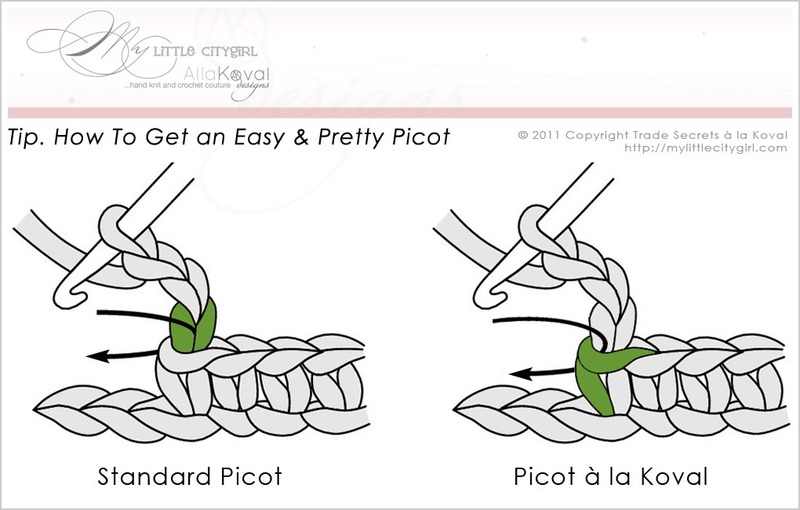 In this way, the picots are more pretty and stable, plus it’s easier and faster to make. Please take a moment to try it and share your thought. What would you like next? If you have how-to-questions about techniques I use for my patterns, please feel free to ask them here and I’ll do my best to create the visual tutorial or give helpful tips. 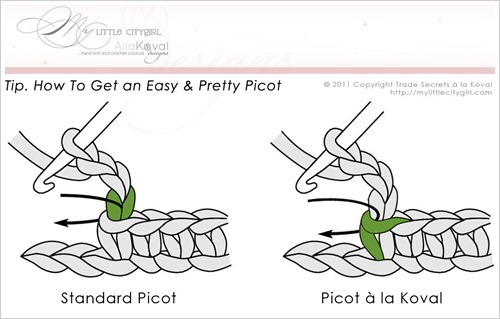 Hi Alla , I try already both option of picot and really think the second option is the best, the picot looks great and its easier to make it! I will definitely try that next time, thanks Alla! My issue with crocheting is always having to switch everything around, since I am a lefty, LOL! But my mom taught me the basics and she was a “righty”.